The Rebel Sweetheart. : Halloween Made More Fun! Next to Christmas, Halloween is perhaps the most anticipated and celebrated holiday of the year. Cobwebs, spiders, cauldrons, and tombstones are all too familiar adornments during this season. Pumpkins and candies are also part and parcel of this annual tradition. But what makes this occasion even more fun and interesting are the costumes. These days, Halloween costumes are not just limited to kids and teens. Even adults have joined in the bandwagon, too! Women usually gravitate towards foxy fictional characters and sassy, curve-clinging outfits for their costume. The men, meanwhile, go for pop icons and comic book characters. 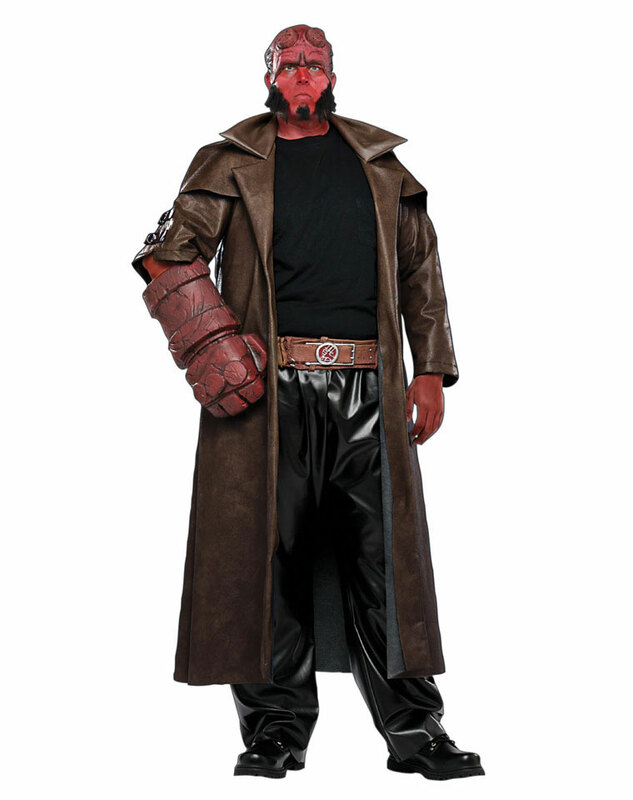 Some of the mens top costumes include Elvis Presley (he's a classic even when it comes to costumes), Optimus Prime of the Transformers, and the infamous Hellboy. The kookier the costume, the better. The crazier it gets, the more fun it'll be. The season of spooks might be more than a hundred days away, but at http://www.spirithalloween.com the spirit of Halloween is alive all year long. They have a vast collection of costumes to choose from that are designed to fit any and all sizes. They come in pocket-friendly prices, too. For those who like doing things ahead of schedule, now is the time to shop for costumes and other Halloween paraphernalia. Spirit Halloween has released its latest collection, and are now available online. This year's selection are quirkier than ever, with Bert and Ernie, Homer Simpson, and even Charlie Brown added to the list. Hefty discounts apply to selected items - all the more reason to start Halloween shopping now. Well, I for one LOVE Halloween. I hope my little ones do too because I have the next 18 years of costumes picked out for them. I love halloweens. The costumes were wonderful. I would agree with your post its fun to wear those. I just hope here in the Philippines, w could also have fun and celebrate trick or treats and not spending both nov 1 and 2 on cemeteries. Haha! Ow ,this is the second post I encountered about Halloween ,makes me think of the next holiday, and yes it will be the next much awaited one .Need to get me and my children costumes again or i may use the old one i used last year. hahaha i know some people who are already preparing their costumes for the Halloween. im still thinking would I be.. maybe.. spiderwoman? or catwoman. meoww!